Providing you the best range of metal stress relieving service, heat treat stress relieving service and hydrogen stress relieved rivets service with effective & timely delivery. Among our vast range of heat treatment services, the Metal Stress Relieving Service is one of the significant processes that clients from manufacturing units find most suitable to their particular requirements. Stress relief is a heat-treatment process that relies on slow cooling to achieve its desired effect, and it is influenced by a number of factors including the internal stress induced into the parts from the various manufacturing methods (e.g., bending, shearing, forging, sawing, machining, grinding, milling, turning, welding, etc.) and prior processing Our metal stress relieving processes relieves stresses, improve chemical homogeneity, soften a material for subsequent operations (e.g., machining), refine grain size and for such reasons as embrittlement relief or magnetic properties. Having vast industrial experience and expertise, we have established ourselves as trustworthy service provider of Heat Treat Stress Relieving Service that is used to relieve the stress from the machine parts. Our rendered services are admired by our clients for their high efficiency, reliability and many other features. A team of our deft professionals render these services in an efficient manner and within a promising time-frame so as to provide maximum satisfaction to our clients. 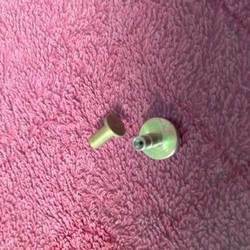 By utilizing skills of our expert professionals and creative workers, we are engaged in offering Hydrogen Stress Relieved Rivets Service. 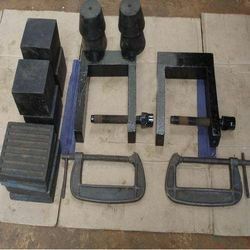 It is used relieve stress from reverts and other materials to avoid cracking during Riveting Operation. A large number of industries completely rely on our offered services for meeting their diverse requirements. This service is rendered under the strict supervision of our adept professionals. From start to finish, we use technically advanced machinery, latest tools and progressive techniques in imparting these services that control the processing of work.